When Jack and Annie got back from their adventure in Magic Tree House #28: High Tide in Hawaii, they had lots of questions. 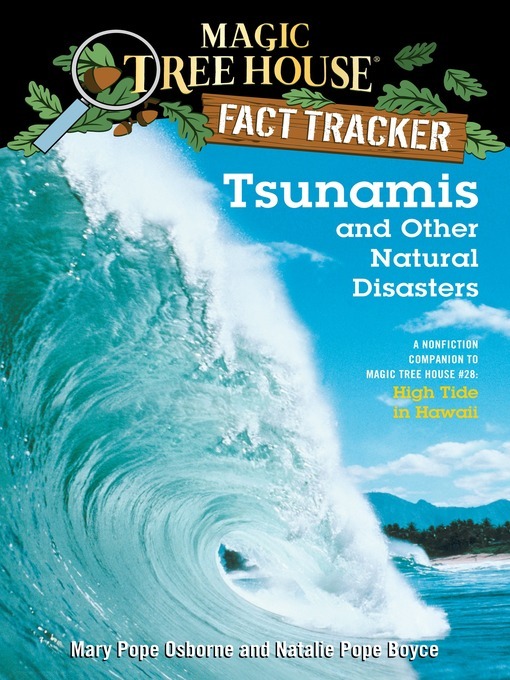 What causes tsunamis? Who studies earthquakes? How do volcanoes form? What should people do if an avalanche hits? Find out the answers to these questions and more as Jack and Annie track the facts. Filled with up-to-date information, photos, illustrations, and fun tidbits from Jack and Annie, the Magic Tree House Fact Trackers are the perfect way for kids to find out more about the topics they discovered in their favorite Magic Tree House adventures.